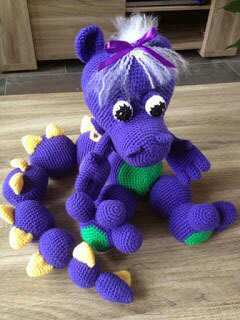 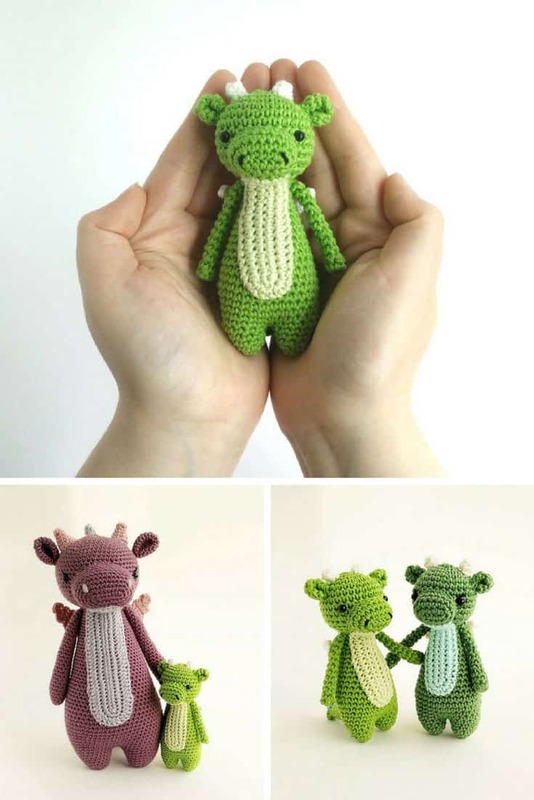 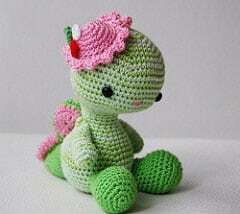 These amigurumi dragons are beyond adorable and you’re going to fall in love with them! 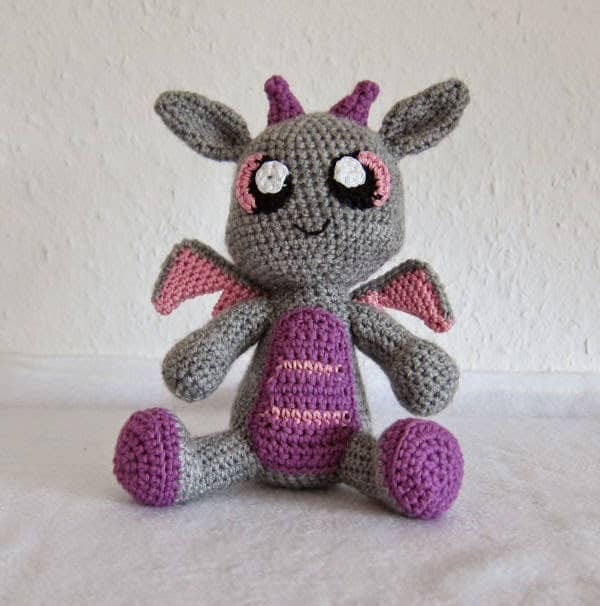 If you haven’t tried Amigurumi crochet yet you are totally missing out because you can make the most adorable stuffed toys and with a good pattern or tutorial to follow it’s easy to master. 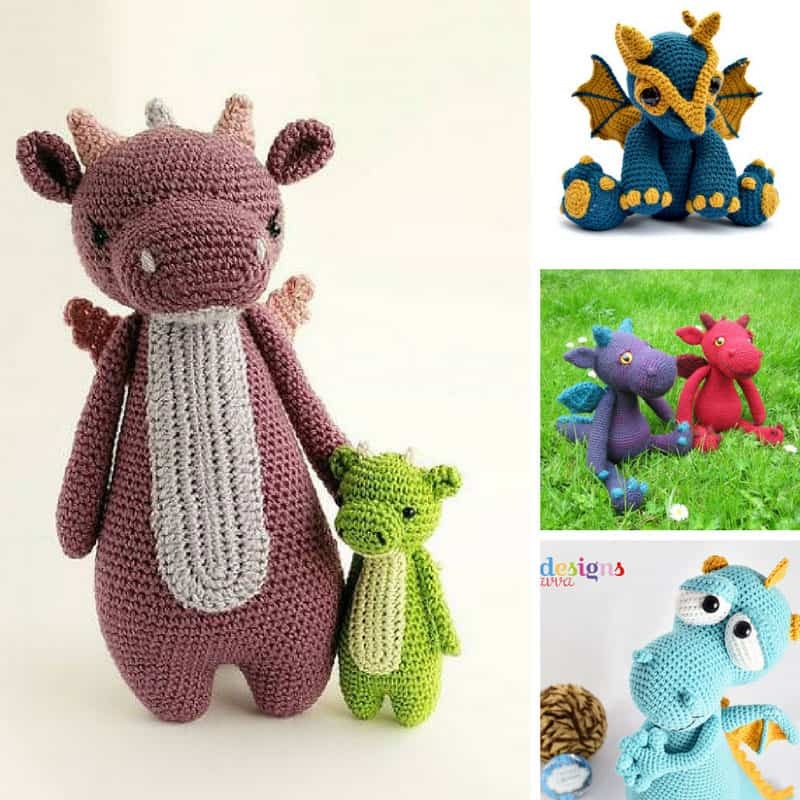 Today we’re bringing you a collection of super cute Amigurumi Dragon patterns that will be adored by boys and girls alike! 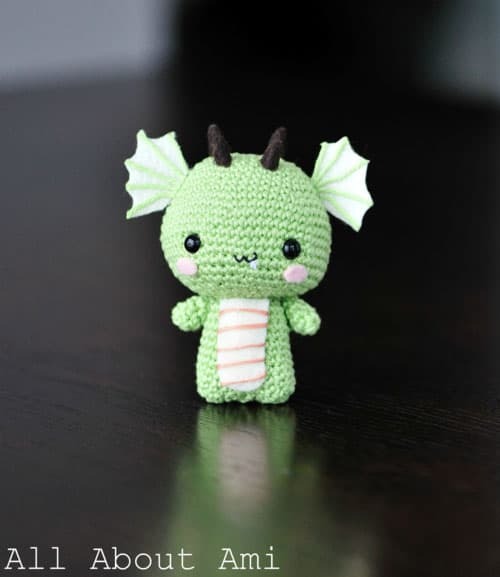 How cute is this little dragon? 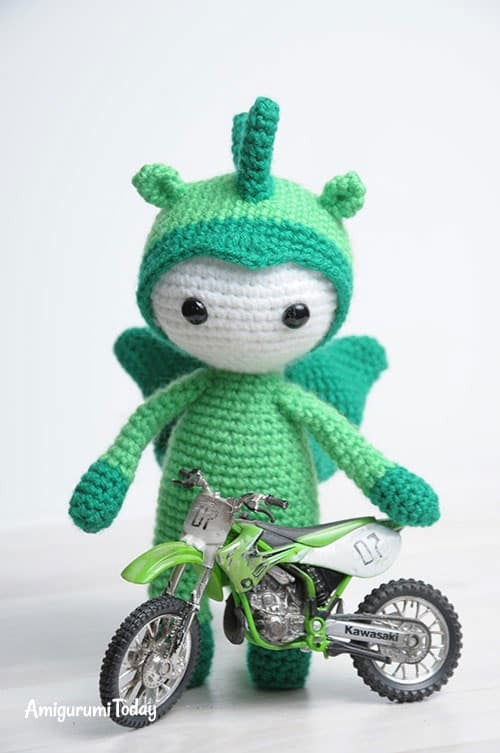 He’s the inspiration behind today’s collection and we just cannot get over how adorable he is! 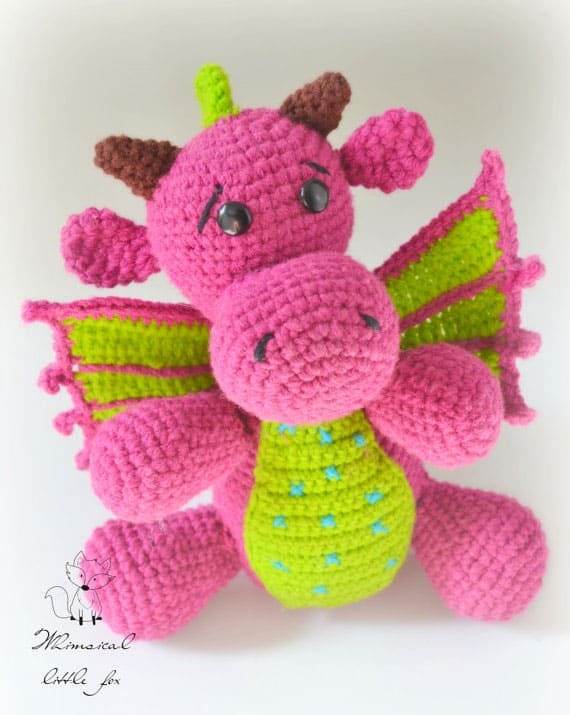 Stephanie designed this little guy to celebrate Chinese New Year and packed in so many adorable features and details from his red rosy cheeks to his fabulous ears and that little tiny spike on the tip of his tail! 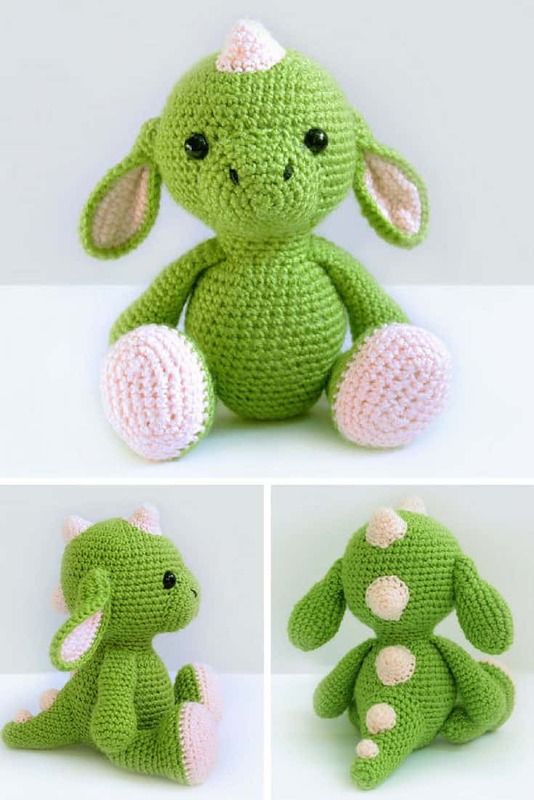 Her tutorial is packed full of photos so you can follow along and make one for yourself. 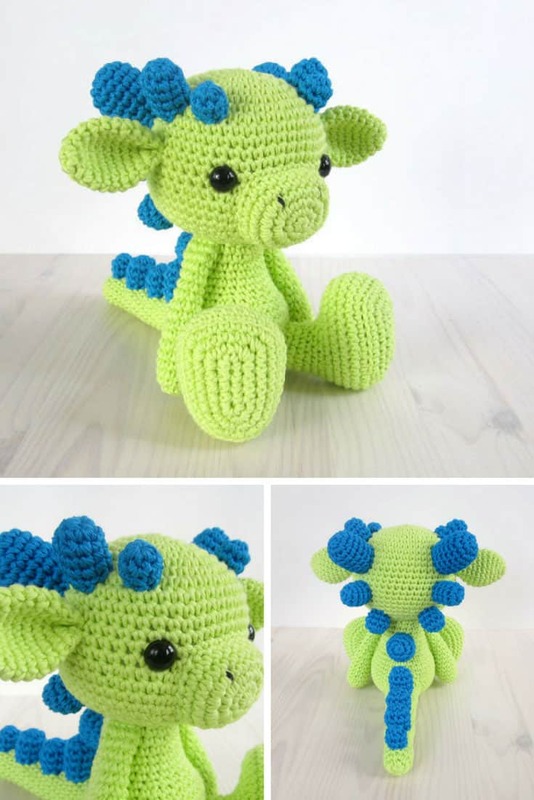 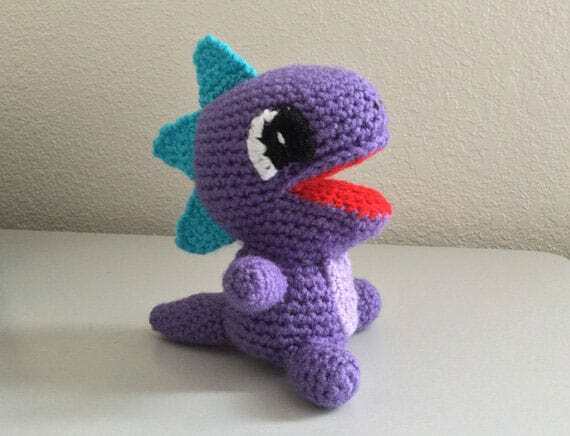 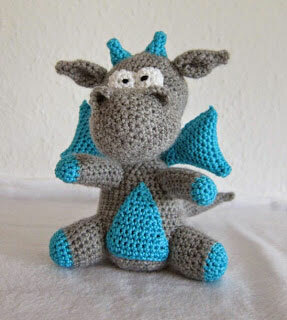 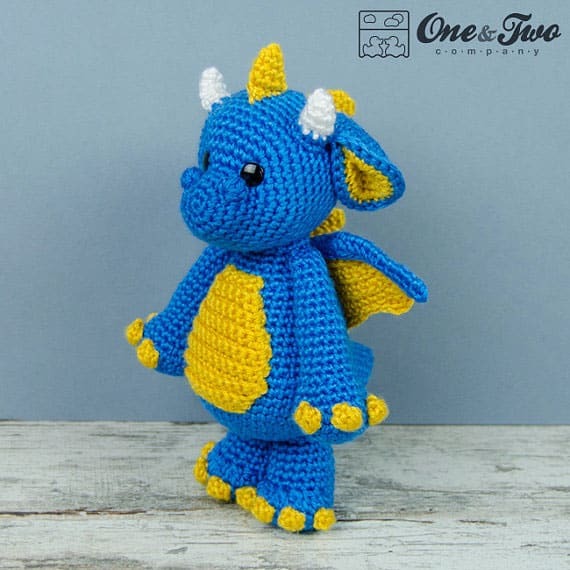 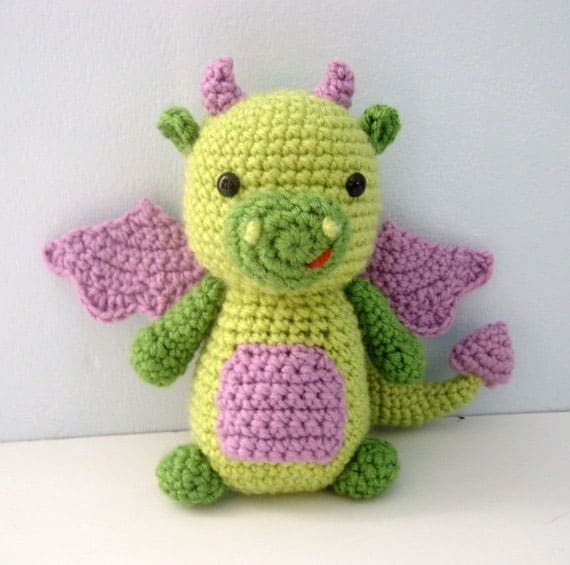 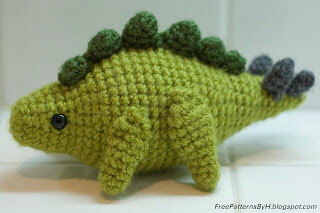 If you learn better by watching someone work a pattern the video tutorial above will show you how to crochet an Amigurumi Dragon in really simple steps so you can crochet along with them. 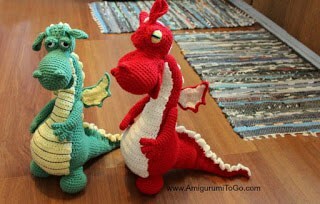 And of course we couldn’t stop at just two dragons. 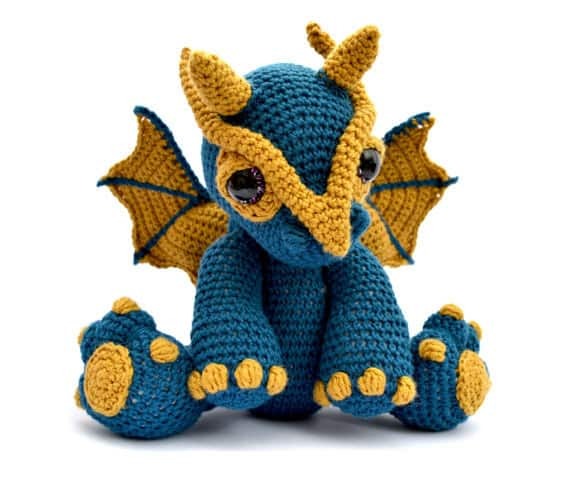 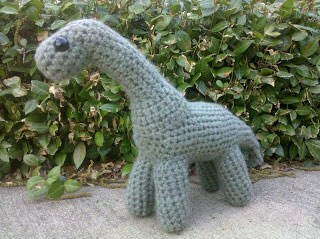 Not when there are so many adorable little fire breathing dragons wanting a new home! 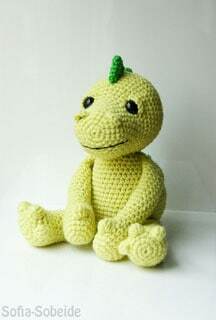 So we scoured the internet for the best patterns we could find – and threw in a dinosaur or two along the way – so you are going to be spoiled for choice! 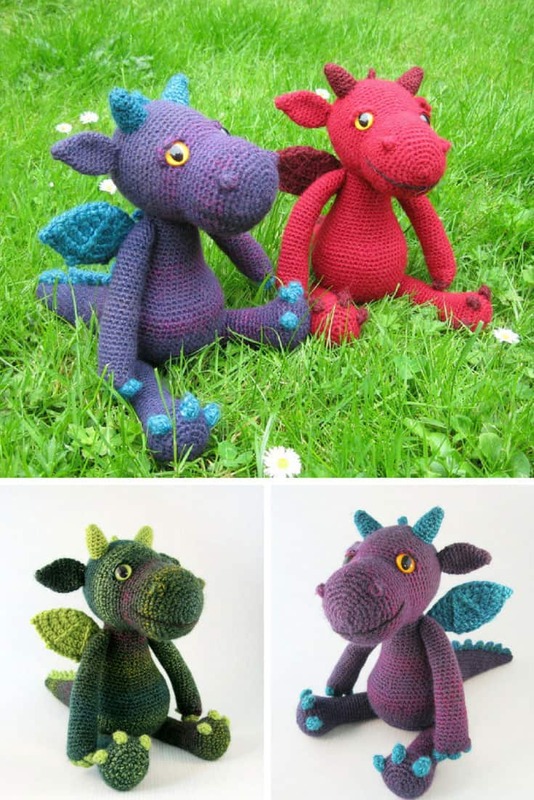 Previous PostPrevious Easy School Lunch Ideas for Kids – One Whole Month of Ideas with No Repeats! 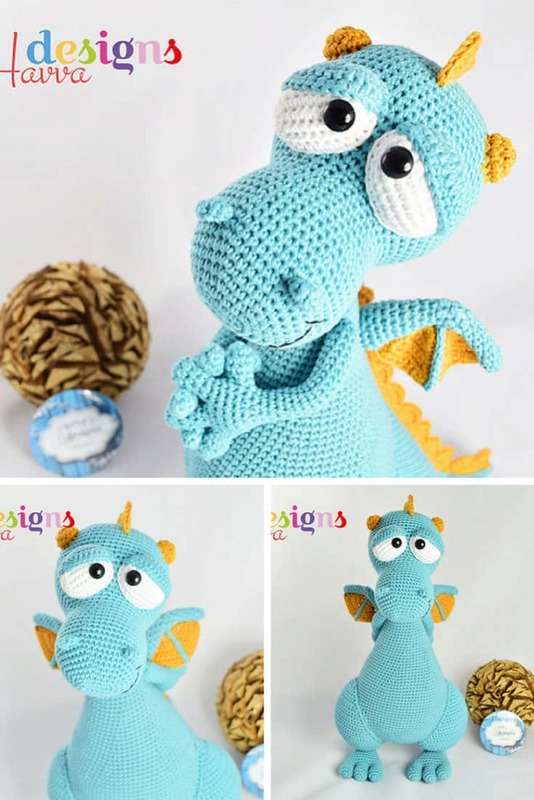 Next PostNext 19 DIY Back to School Teacher Gifts That Are Super Cute! 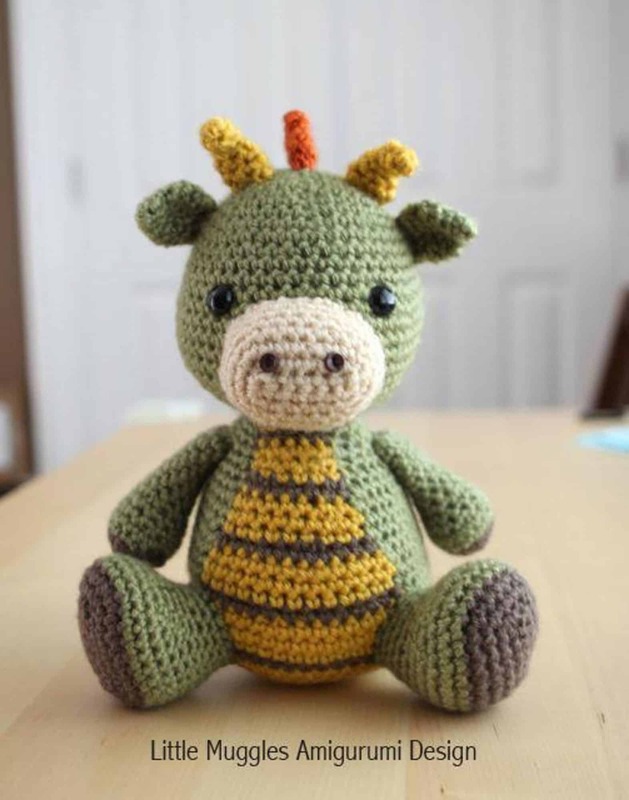 Gorgeous Mandala Crochet Patterns You Need to See!